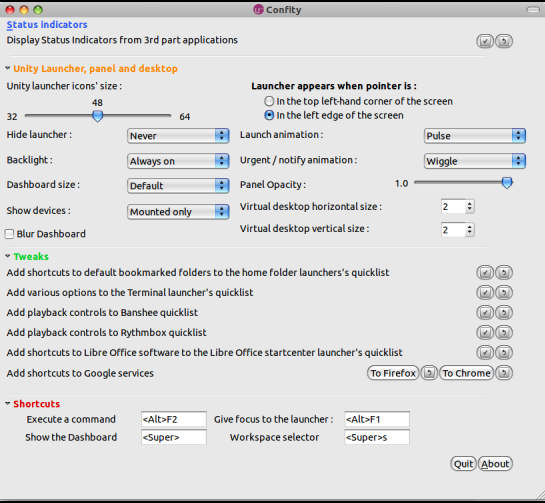 Confity is a simple tool to help you configure your Ubuntu Unity desktop. There are quite a few options related to Unity Launcher and quicklist. Compare to Confity, Gunity doesn’t seem to handle the quicklists. 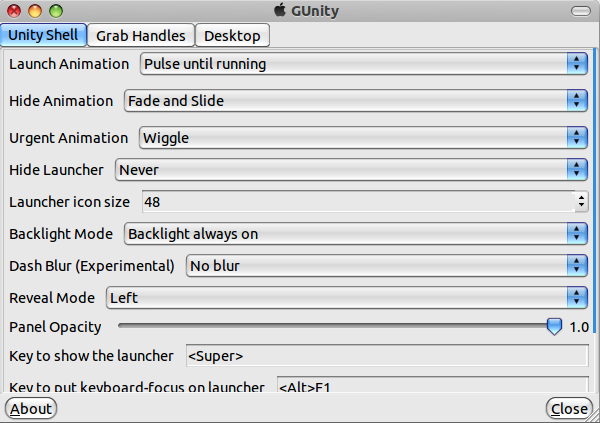 Unity-Launcher-Editor is still in the early development phase. 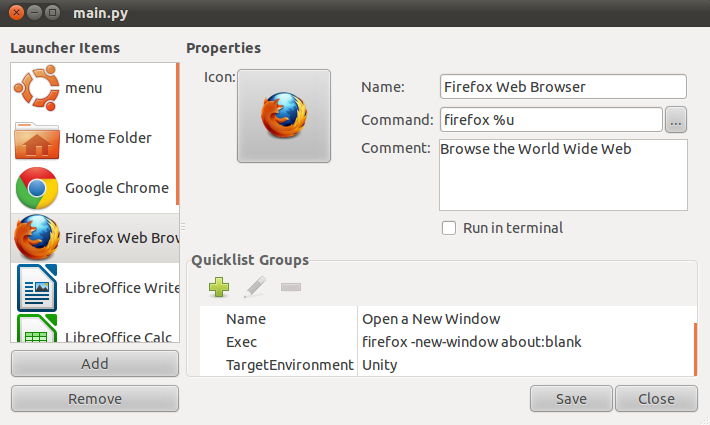 Currently it can add/remove/edit Unity Launcher items and quicklist groups. 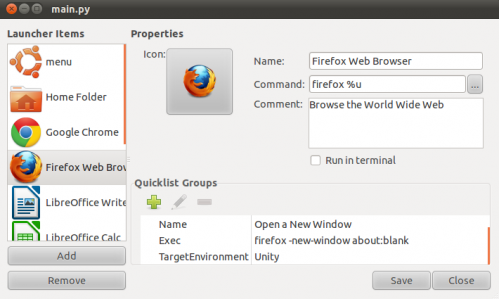 No user responded in " Three tools configuring Ubuntu 11.04 Unity Interface "